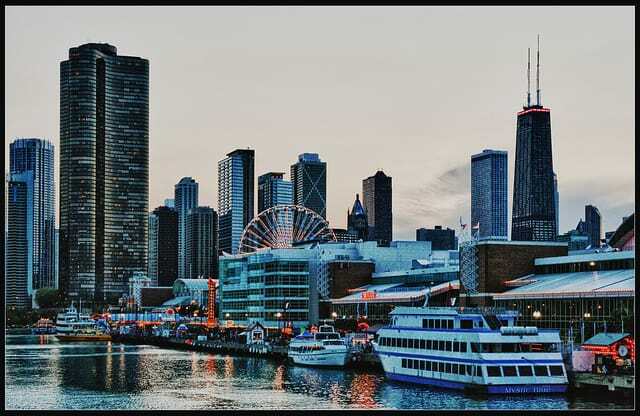 Chicago is one of the most popular cities in America to visit, especially for families. 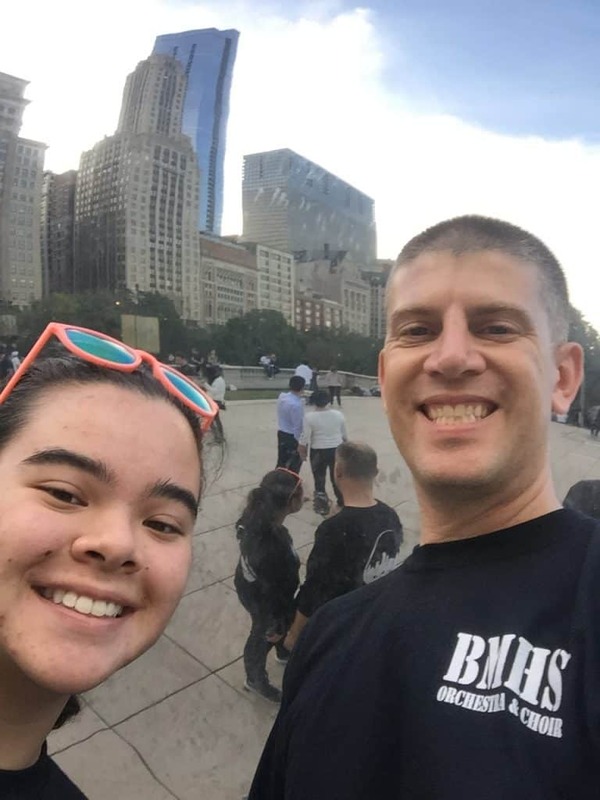 If you have teens in your family, you owe it to yourself and them to schedule a trip to the Windy City soon. There is so much to see and do within Chicago’s city limits that it’s hard to narrow it down, but we created a list of our family’s favorite places within Chicago. One of the largest indoor Aquariums in the world, SHEDD Aquarium will impress you and your teen. Check out divers in SHEDD’s Caribbean Reef, which offers a 360-degree view of an underwater reef community. They have penguins. They have dolphins. They have a giant octopus. 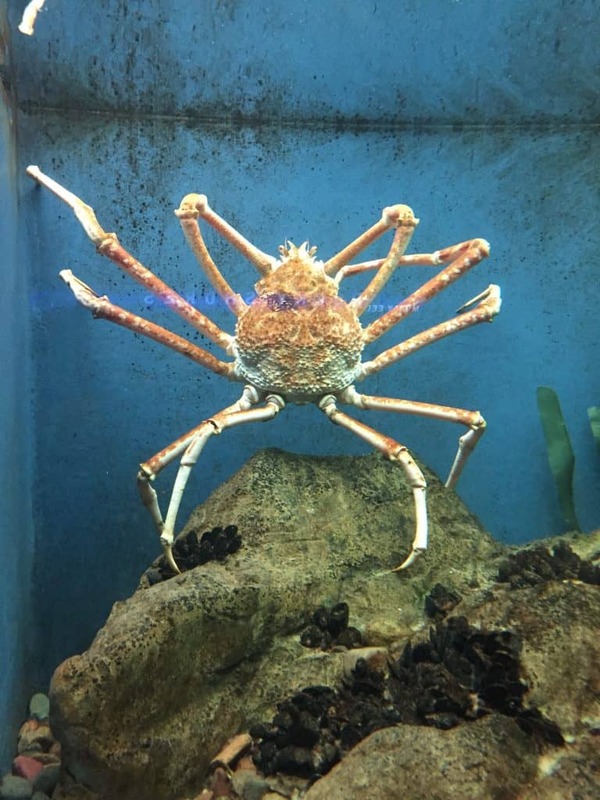 They have the biggest (and creepiest) spider crabs you’ve ever seen. The SHEDD Aquarium will show you things you didn’t even know existed! You can’t go wrong with donuts and Chicago has a rich donut tradition and Stan’s Donuts is one of the best. 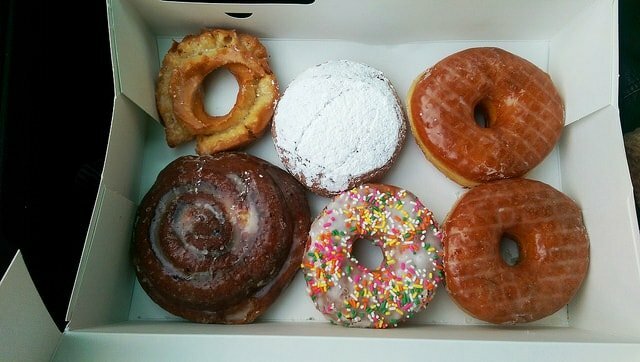 This historic donut shop started in Los Angeles, California in 1963 and after a partnership with Chicago’s Labriola Baking Company, Stan’s made it’s way to Chicago in 2014. Tons of flavors from the standard glazed to the insane Dreamsicle Bar. With locations all over Chicago, Stan’s Donuts is always close enough to warrant a stop. You can’t go to Chicago and not get deep dish Pizza. 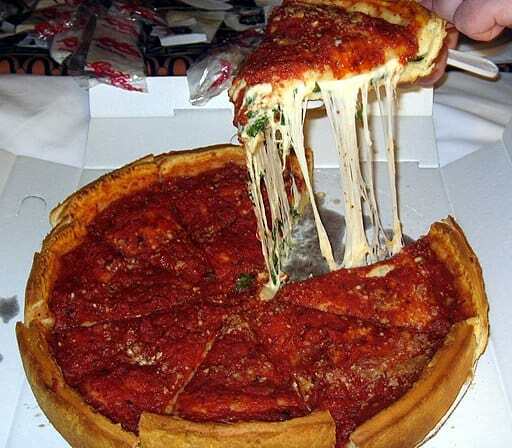 I know that deciding who has the best deep dish pizza is a hotly debated topic among Chicagoans and visitors alike. Giordano’s made our list over others simply because it’s the only one we have tried during our Chicago adventures so far. However, the spot is well deserved. The pizza is out of this world, the atmosphere is electric, and the cheese pull will blow your mind! Because we plan on traveling to Chicago often, we will get to all the other pizza shops in Chicago soon enough. The Museum of Science & Industry is insane! It’s huge (over 400,000 square feet) and covers anything and everything science related. 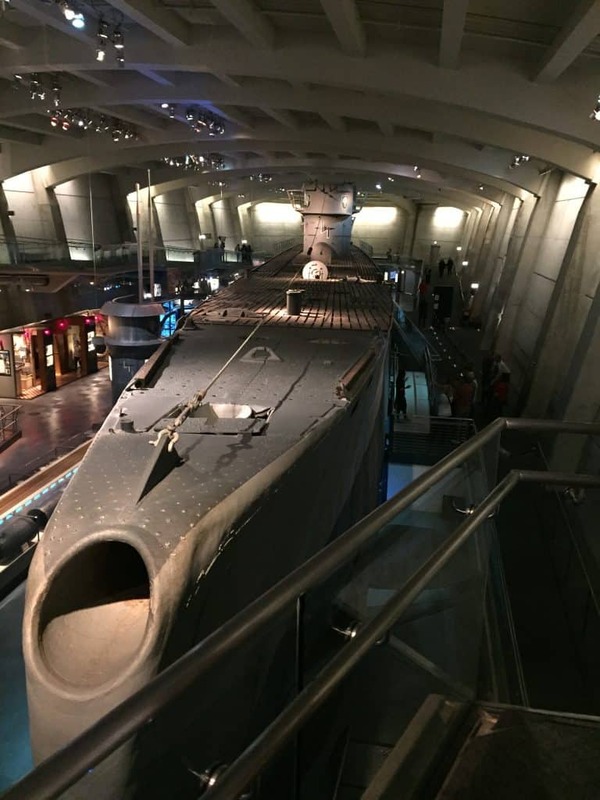 It features a U-505 Submarine, a baby chick hatchery, virtual reality exhibits, and a massive model railroad. Make sure to check out “You: The Experience” and “The Science behind Pixar Films” exhibits. The entire museum is a lesson on how to create hands-on experiences that make learning fun. There’s also a 5 story dome movie theater at the Museum of Science & Industry. Any trip to Chicago with teens needs to include a stop at the Museum of Science & Industry. 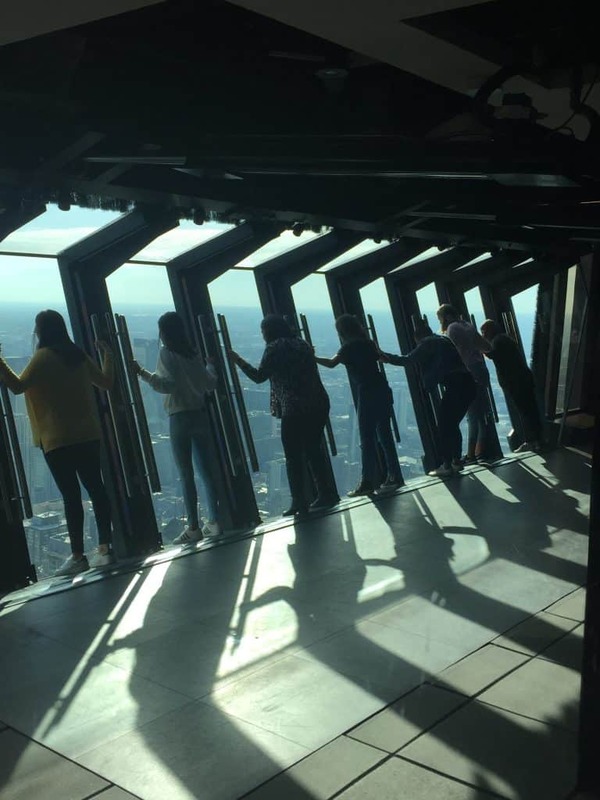 Located on the 360 Chicago Observation Deck in the John Hancock Building, Tilt provides a little more thrill than the normal observation deck experience. 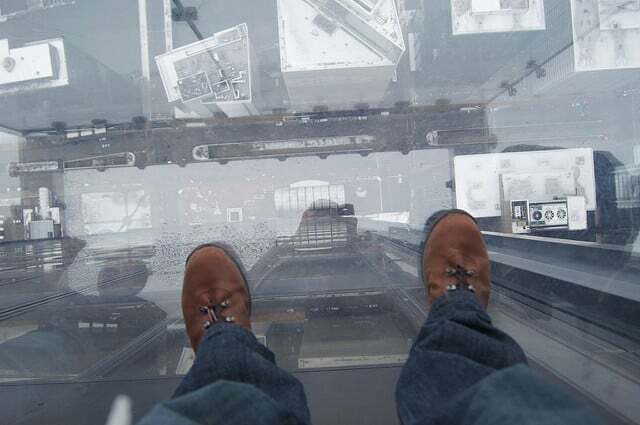 Basically, you lean up against a glass wall and then the wall tilts out 30 degrees, giving you one of the best views in Chicago at over 1000 feet high. The most terrifying part is the fact that the operator only tilts you out 10 degrees to start, stops you for a second and then keeps going. You can feel your whole body tense up as you hit that sudden stop. If you and your teens aren’t up to the challenge, it’s just as fun to watch other people freak out. However you choose to experience the observation deck, the spectacular views of Chicago is well worth the elevator trip up 94 floors. Navy Pier is probably the most popular tourist destination in Chicago. With its location along the Lake Michigan shore, Navy Pier combines amusement rides, a museum, restaurants, shopping, dinner cruises, gardens and more for one of the most unique spots within the city. Navy Pier is home to Centennial Wheel, a huge ferris wheel standing at over 200 feet tall. Centennial Wheel is open all year (weather permitting) and offers unbelievable views of Chicago. If your teens like to shop, there are few places on the planet they will enjoy more than the Magnificent Mile. The Magnificent Mile is a one mile stretch of North Michigan Avenue right through the heart of Chicago that is lined with shops, flagship stores, boutiques, malls, and restaurants. 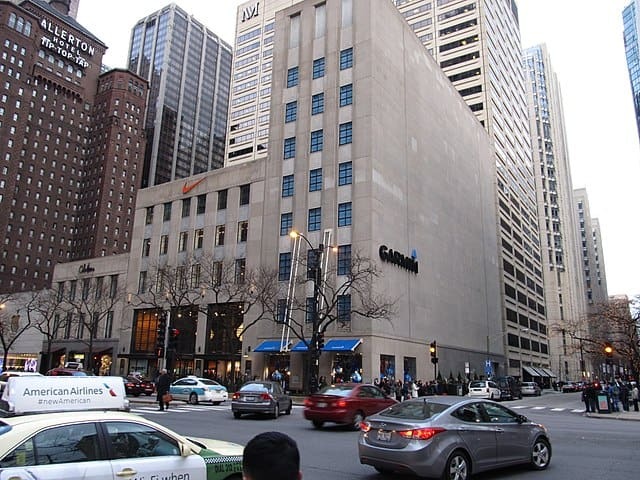 Basically, any store a teenager would be interested in is located along the Magnificent Mile. Chicago is the place to be for great shopping and it all starts on the Magnificent Mile. Its real name is Cloud Gate, but it’s more affectionately known as the Bean. Cloud Gate was created by British artist Anish Kapoor. There’s nothing like it and you haven’t truly visited Chicago if you haven’t taken a selfie in front of the Bean. The rest of Millennium Park is worth the visit as well, but it’s hard to compete with a 110-ton sculpture that looks like it’s from another world. The Art Institute of Chicago is one of the largest and oldest art museums in the United States. 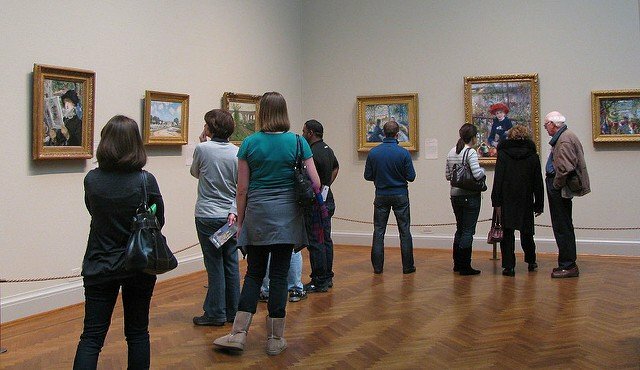 Featuring over 300,000 pieces of artwork, the Art Institute is a massive museum and perfect for any art-loving teenager to visit. It is home to artwork from some of the most famous artists in history, like Van Gogh, Cassatt, Seurat, and Picasso. The Art Institute has been named one of the Top Museums in the World (#4 in 2017) by TripAdvisor for 5 years in a row. The Art Institute also makes a cameo in one of the most famous scenes in the movie Ferris Bueller’s Day Off. Picture in your mind the greatest candy store in the world and it could very much resemble Dylan’s Candy Bar. Featuring thousands of unique candies from around the world, this boutique candy shop is one of the most beautiful sights my eyes have ever seen honestly. 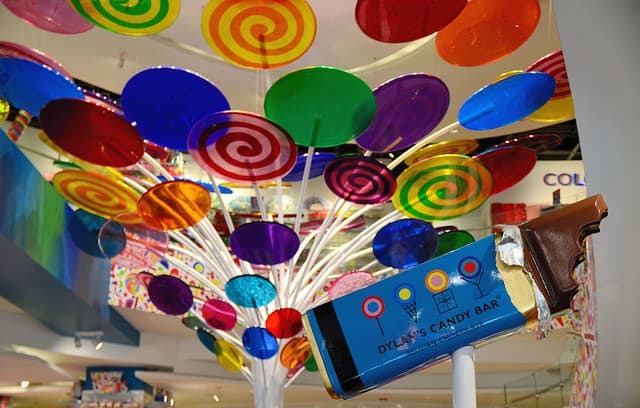 Dylan Lauren was inspired to create her Candy Bar by Roald Dahl’s Willy Wonka & the Chocolate Factory and that is probably exactly what you will think of when you step into their Chicago location. 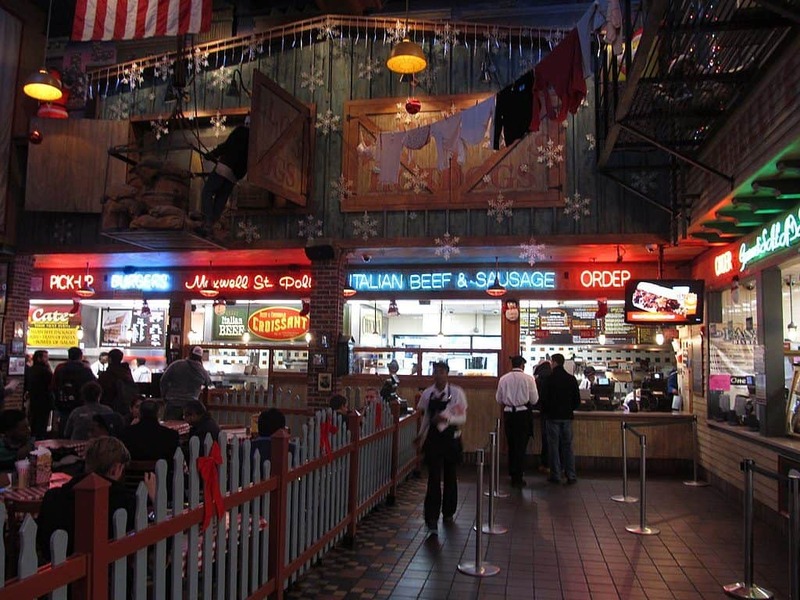 Known for their Chicago-style hot dogs and their Italian beef, Portillo’s is a fast casual style restaurant with locations all over the city and beyond. What started as a simple hot dog stand in the cities has turned into a franchise that was sold for 1 billion dollars in 2014. Chicagoans take their hot dogs and Italian beef very seriously, and while there are many other great places in town, Portillo’s makes our list. Just make sure you don’t put ketchup on your hot dog. 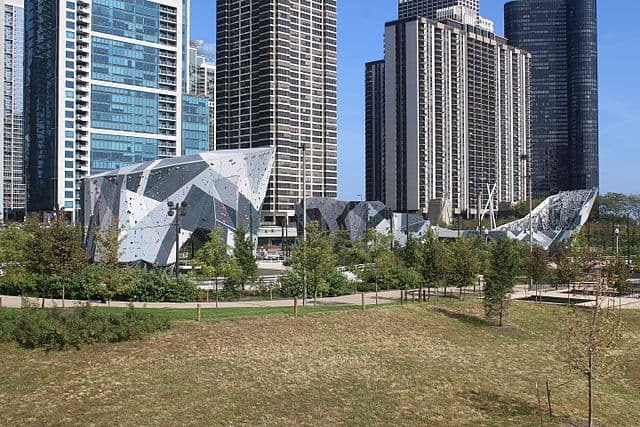 Millenium Park and Cloud Gate get all the love, but Maggie Daley Park is well worth the short walk on the pedestrian bridge that connects the two parks. Honestly, it wasn’t until my second trip to Millennium Park that I ventured far enough over to spot Maggie Daley Park. I can’t believe I missed it, seeing that it is a 20-acre park filled with climbing walls, mini golf, playgrounds, tennis courts, huge gardens, and an ice skating ribbon. Running along the south bank of the Chicago River, the Riverwalk is one of the hippest spots in Chicago. The Riverwalk is over a mile long and filled with restaurants, beautiful scenery, artwork, and walkways, and even features a museum. There is plenty of activity along the river too, with kayaking, fishing, boat tours, bike rentals and more. Teens will love all the options at this wondering scenic area of the Windy City. 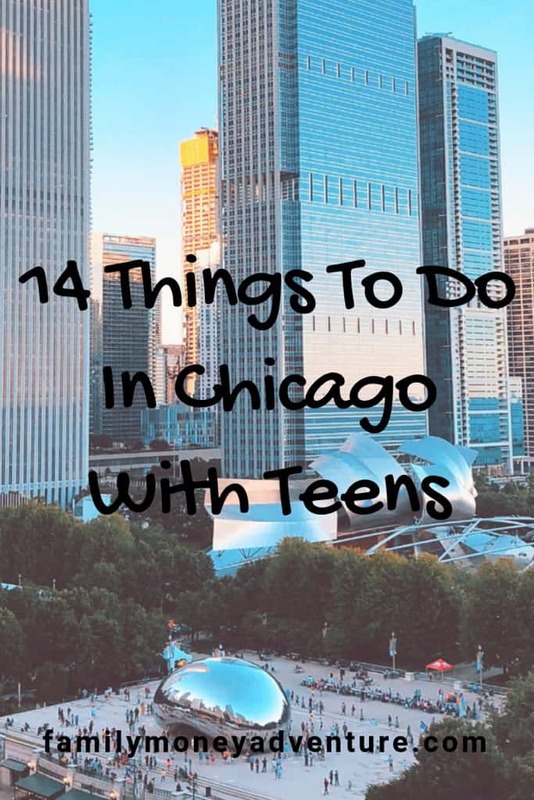 Know other great places to see, things to do, and places to eat in Chicago with teens? Let us know in the comments below! I love Chicago! So many fun things to do. We lived near the northwest suburbs for years, and I used to take my French classes to the Art Institute each year. They were always a little bored, but the French bistro we’d visit after the museum made it all worth it, ha! Gotta love Millennium Park, the planetarium, aquarium, Museum of Science and Industry, and so much more. Your list is making me kind of homesick for that city! Thanks for sharing! We can’t wait to go back. Our boys have yet to go to Chicago.